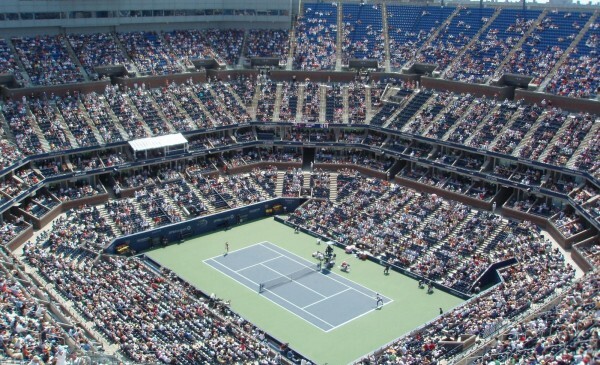 Tennis is an individual sport and has produced some of the biggest characters of the sporting world. Since before the Open Era legends of the game have risen and the record boundaries are being pushed further back. In this article we look at some of the best players the game of tennis has ever seen. Some are remembered for their achievements whilst others feature for their personalities and what they gave to the game. Roger Federer is regarded by most as the greatest player of all time mainly due to the number of Grand Slam titles he has won in his career. He currently sits on 17 major titles, 3 more than Sampras and Nadal and is still active on the tour. Federer’s brilliance isn’t just down to his success at the major tournaments. He holds a huge chunk of the available records in the modern game like most consecutive weeks and total weeks with the number 1 ranking and most Wimbledon titles. He has won all 4 of the majors which others in this article have failed to do. On court Federer shows little emotion and gives nothing away to his opponent. He is a cool calm collected character and very professional in his approach. Roger Federer is a player with few weaknesses in his game and is one of the best all round players we have seen. He has a powerful forehand and his one handed back hand is a real weapon. He does not have the fastest serve but it is a champion’s serve none the less and he is able to serve himself out of tricky situations. An area of Federer’s game that beats all others is his movement. He glides around the court, making difficult shots look effortless. Federer continues to play at the age of 34 and is still at the peak of men’s tennis. Over his career his biggest rival has been Rafael Nadal and the two have had numerous battles pushing each other to their limits. With Federer still playing and still at the highest level he will remain the most successful player for many years to come. Like with Federer, Pete Sampras was thought to be the best of all time as he was the dominant force in the men’s game directly before the Swiss. Sampras held the record for most Grand Slams titles with 14 to his name which was thought to be a record that would not be broken. Sampras dominated Wimbledon throughout the 1990s. He won 7 titles between 1993 and 2000 with only 1996 missing from his collection. Sampras was also a calm collected character showing little emotion on the tennis court. One of the biggest rivals in his career was compatriot Andre Agassi and the difference in on court personalities between the two complemented each other well. Pete Sampras was also a well-rounded player with few weaknesses in his game. He adopted an unorthodox smash known as the “Slam Dunk” which became his trade mark. The overhead smash was played whilst airborne which is a shot no player has really emulated since. Sampras officially retired in 2003 when he was at the top of his game. He still makes appearances at various charity events today. It seems a bit of a theme here that some of the biggest names in tennis are quiet and reserved people. Bjorn Borg was nicknamed the “Ice Man” for his emotionless demeanour on the court. Borg won 11 Grand Slam titles and unlike Federer and Sampras dominated both Wimbledon and the French Open. Borg won 5 Wimbledon titles on the bounce which still stands as the record for most consecutive wins at SW19. Borg was a teenage sensation and his success in the 1970s helped raise the profile of professional tennis. In 1979 Borg became the first player to win $1 million prize money. Although Borg was considered one of the top players of all time he failed to win a hard court major (Australian Open & US Open) although he did make 4 US Open finals. Borg’s biggest rivals were John McEnroe and Jimmy Connors. Rod Laver’s career pre dates the start of the Open Era 1968. Rod Laver could well have beaten all others for most Grand Slam titles had he been born a few years later. Laver won 6 Grand Slam titles between 1960 & 1962 before he turned professional in 1963. Back then the Grand Slam events were Amateur tournaments and professionals were not permitted. In 1968 the rules changed and professionals were accepted and Laver went on to win another five Grand Slam titles. Had he not had the professional break his tally could have beat that of Federer. Rod Laver still holds the record for most singles titles and in 1962 won 22 titles in a single season which has never been beaten. He was an all-round player and not tied to a particular surface. Rod Laver is the only player to win the “Grand Slam” twice (all 4 majors at the same time) and is the only player to win the “Grand Slam” in the Open Era. John McEnroe is not one of the most decorated players in this list. He is without doubt a great champion with 7 major titles to his name but he is really remembered for his personality and the antics he brought to the tennis court. During his career he was nicknamed “Super Brat” for his constant outbursts and fall outs with the chair umpires. His trademark quote “You Can Not Be Serious!” is reused time and time again. McEnroe is still very much involved with the tennis tour today commentating on TV stations around the world and taking part in various veteran events. Tennis has produced many legends of the game and players who are remembered over the decades. Today we see the likes of Rafa Nadal, Novak Djokovic and Andy Murray leaving their marks on the game and even some of the controversial characters live Nick Kyrgios. Lee is a writer for World Tennis Trading. He has a real passion for the game of tennis and follows both the ATP & WTA tours throughout the year. He enjoys analysing tennis stats and assessing the chances of a every outcome of a tennis match.